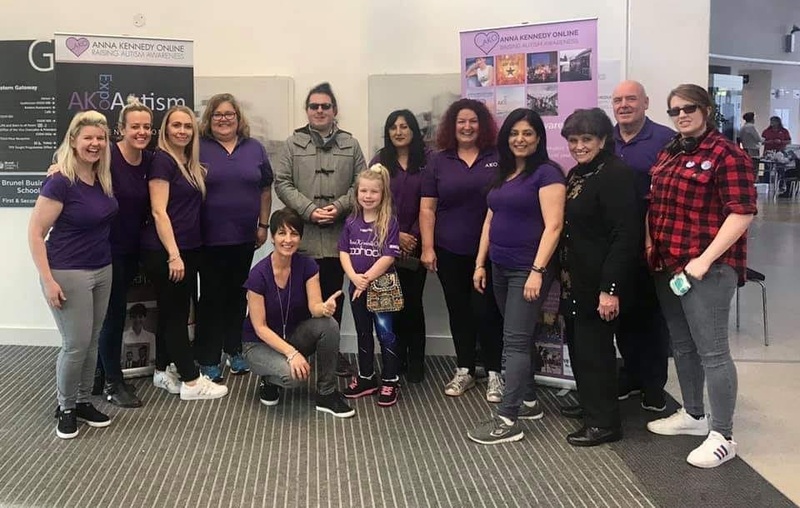 Families, carers, friends and educators of autistic children and adults were warmly invited to join Anna Kennedy OBE and a host of experts at the fourth year of The AKO Autism Expo at Brunel University in West London . The event was Organised by National Autism Charity Anna Kennedy Online, a charity dedicated to raising awareness and acceptance of autism, the aim of the event was to give like-minded people the chance to share stories, talk to professionals in specialist clinics and to find out more about autism and its related conditions. The day was a fantastic success and was sponsored by Options Autism, Camelicious, Greenboard Games and The Autism Reality Experience. The Mayor of Hillingdon Councillor John Morgan once again attended one of the charities events and gave a speech on “What a great event for families and professionals to come together at Brunel University and talk ‘All things Autism’ “. The Expo included a range of practical and inspirational advice; the day had an impressive line-up of speakers covering topics such as nutrition and autism, how to inspire a love of learning through interest-led games, and raising awareness of Pathological Demand Avoidance (PDA), as well as insights from Autistic Adults who have carved successful careers . Other highlights of the event included free clinics run by experts offering legal guidance on Special Education Needs, autism training and advice on occupational therapy. The show once again attracts a wide range of exhibitors offering specialist strategies, products and services to help people manage and understand autism – visitors checked out sensory equipment and visual aids, special yoga, gluten-free and other special diets, movement therapy, a support network for Dads, and more. The aim is to provide as much information and advice as possible to anyone caring for or educating people with autism. Families and professionals had the chance to learn about the Autism Reality Experience of which AnnaKennedyonline are proud to be in collaboration – This is a mobile unit equipped with a range of hands-on sensory experience families and professionals had the chance to learn about the Autism Reality Experience – a mobile unit equipped with a range of hands-on sensory experience designed to give people greater insight into the sensory processing difficulties faced by people on the autism spectrum. Our next Charity event is at The Apple Store Covent Garden on April 5 for Autism Awareness Week.